Third-generation blockchain network Aion (www.aion.network) today announced the launch of the first public blockchain interoperability platform. 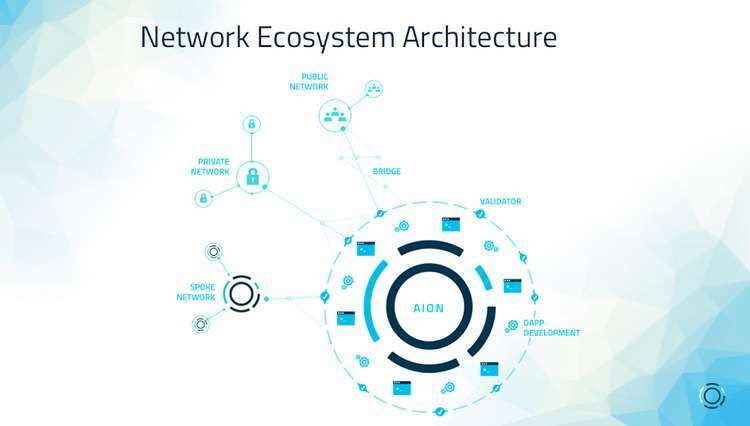 The Aion network will allow for independently operated blockchains to connect, enabling the instant, global transfer and recording of data and value, streamlining communications, and bridging disparate blockchains. Use cases for the Aion protocol include cross-organizational functions like supply chain operations, communication between health providers, and data-sharing between government entities. Aion will be customizable, allowing enterprises to partition a blockchain to control access for security or privacy reasons. The range of blockchain-related use cases in a single, large enterprise can also be broad enough to require multiple blockchains, each with semantic, operational, or government properties, while still maintaining safe and private communication between them. Aion’s founding team first came together to create Deloitte’s blockchain practice in 2014. Recognizing that blockchains were like computers before email, Aion set out to develop an interoperable network to connect public and private blockchains. Since raising $22 million USD through a token sale in 2017, developers have created Aion’s multi-tier blockchain network designed to support a future where blockchains solve unique problems. The Aiontestnet was released in early 2018, generating feedback used to develop the current public network. Aion will host its first developer conference, AIONEX, on May 2, 2018 in Toronto. AIONEX takes place just prior to the Community Ethereum Development Conference happening May 3-5, and will feature technical discussions on the impact of a common interoperable protocol by blockchain thought leaders and engineers. Aion’s advisory board includes Anthony Di Iorio, Co-Founder of Ethereum, John Lee, Vice President of Enterprise Delivery at the Toronto Stock Exchange, and Salim Ismail, the former Vice President of Yahoo and the founding executive director of Singularity University.